Receiving private-pay home care has become a necessity for may seniors and their families as government just can’t provide the support that is truly needed. So what are the costs to receiving this care? Questions about home care costs are the most common enquiries we receive at Retire-At-Home in Toronto, East York and North York. The cost of caring for an elderly loved one is a concern for families and caregivers and can have implications on your cash flow, investments, home equity, and inheritance. We do take the time to openly discuss the costs and how a plan can be created around your budgets and affordability. It is important for families to have a budget in mind of what they are prepared to spend on a monthly basis for the care of their loved one. Our home care costs per hour, which start at $21.95 are competitive with other home care companies, meaning that our hourly rates are within a dollar or two of our competitors. We do, however, pay our staff above average wages so that we can keep the best caregivers that we find. Our hourly rates cover the wages of our caregivers, CPP, EI, and WSIB premiums, along with a benefits package and training days. Our hourly rates include nurse-managed care. Retire-At-Home Services in Toronto, East York and North York respects your budget, and we will do everything we can to help address the issues of your parents within the allocated amount. When determining the budget for home care services, families should explore the costs of alternative arrangements such as a retirement home or assisted living residence to give an idea of ‘the going rate’ of care. Loved ones who need one-on-one personal care at home will likely need it in a retirement community as well, and this care will be an additional cost while in the retirement home. Hourly rates of home care costs can vary from company to company. Price is not always a good indicator of the value or quality of service that families may receive. Our best advice to people trying to decide between one company or another is to meet the managers in person – through one of their free consultations. After getting a feel for the people you’ve met, evaluate whether or not you feel you could trust them, or whether they would be responsive to your needs and troubleshoot problems that will arise after service begins. 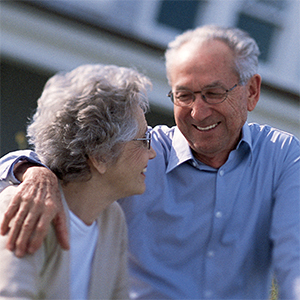 Speaking for Retire-At-Home Services Toronto and North York, we would love to have the opportunity to meet you and show you that we can provide your family with excellent service of high value. Call us at 416-479-9659 or fill out the enquiry form on the right-hand side of the page, and we will get right back to you. As the options for elderly care are many and varied, so are the costs. Options for senior care include retirement communities, assisted living, and long term care homes. We have written three interesting posts on senior living options, the relative costs of each, and then finally how people come to meet the costs of care.